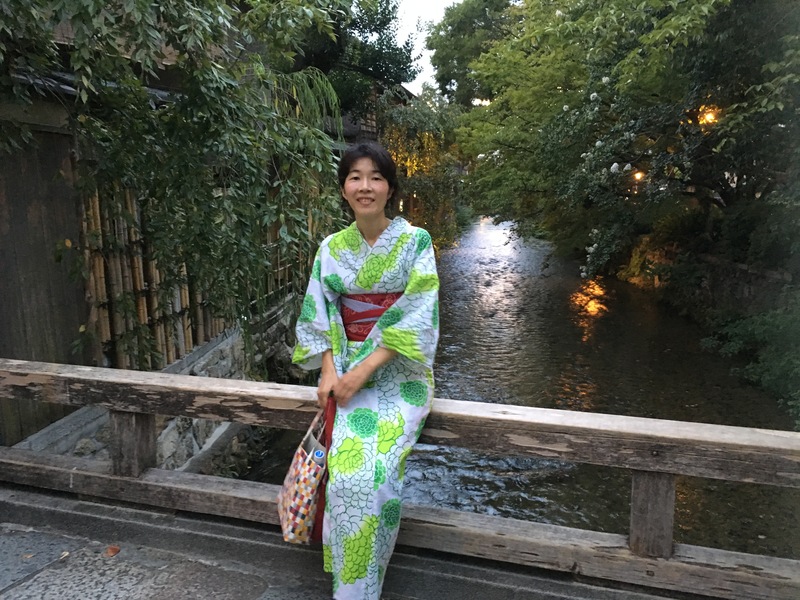 I’m a online Japanese teacher and a English speaking tour guide in Kyoto, Japan. Thanks to my previous job as a international youth program staff, I work on a cruise ship and traveled many countries. So far, I’ve been to Canada, Greece, Australia, USA, China, Philippines, Malaysia, Singapore, Vietnam, Thailand, NZ, Brunei, Indonesia, India, and Sri Lanka. I also like reading. I’m a big fan of “Anne of Green Gables”. Between 2012-2014 I had lived in PEI, Canada and worked for the author’s family’s shop, worked as a tour guide for Japanese tourists who is also like the book, and wrote a seasonal report to my hometown newspaper. After the many years of travel, now I want to share my own culture to people. So I teach Japanese online, and enjoys introducing beautiful Kyoto. About Japanese lessons, I started teaching Japanese online from April 2013. Until now, I’ve taught over 2,000 lesson for 300 students. About tours, I had start living in Kyoto in 2008. Since then, I worked on tourism industry. Since 2016 summer, I’ve guided over 500 people in Kyoto. Since May 2018, I have started offering my tours on Airbnb experience. I grow up in Japan. But by learning English and traveling living overseas, I learned new way of thinking, values, and good friends -that made my life rich. So my mission is by teaching Japanese online or offering tours in Kyoto, I’d like to share my own culture and help people find new way of thinking, values, and good friends.